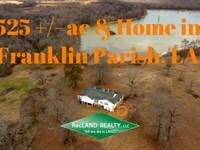 100 +/- ac and home in Franklin Parish, LA This tract has already been enrolled in Wrp. The trees are to be planted in the Spring of 2019. The fenced pasture around the house is not in the program. The 3-bedroom, 2 bath home has been remodeled including new flooring, fixtures, and new appliances in kitchen, except for refrigerator. It has a carport and screened back porch. The house sits back off the road several hundred feet and is surrounded by mature hardwoods. There is also a barn and shed near the house. Approx. 40 acres lies across the road from the house and approx. 60 acres. The 40 has existing levees that will hold water for ducks. An existing electric well and a control structure are already in place. The seller will reserve an access along the road on the west side of the 40-acre parcel. The property is situated east of Turkey Creek. 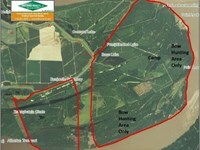 This and developing WRP will enhance the deer & duck hunting potential. Utilities Water & Electricity on site. Minerals Seller reserves 50 Location Situated on Hwy 875 northwest of Wisner at 1817 Hwy 875. Legal Description Situated in Sections 23 & 26, T12n, R7e, Franklin Parish, LA Asking Price $470,000 Note to Buyer's Agent See the RecLand site footer for commission information. 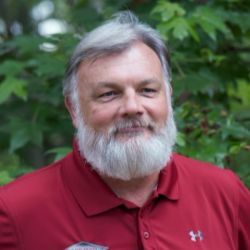 Call Mark Hutto at or see the RecLand site for all our listings and aerial mapping. 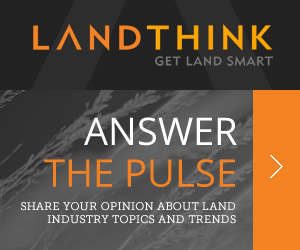 When calling broker, please say, "I found your listing 100 Ac, Land & Home Near Wisne on FARMFLIP."